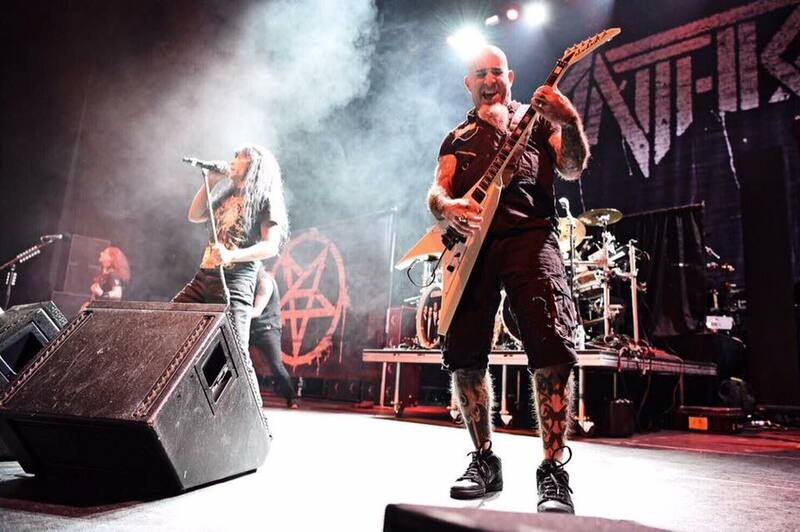 Anthrax have announced dates for a co-headlining North American tour with Killswitch Engage. The pair will rotate the closing slot throughout the 27-show run named Killthrax – with guests The Devil Wears Prada – that begins in Montclair, NJ on March 29 and wraps up in Boston, MA on May 7. "Anthrax and Killswitch - KillThrax! Holy crap!," says Anthrax guitarist Scott Ian. "I am so excited about these upcoming shows with our old friends Killswitch Engage. Get out your pit pants and start stretching now for all the glorious action and fun!" "Anthrax and Killswitch will be a really good blend for fans," adds drummer Charlie Benante. "We both play metal, but we play two different forms of the genre. I think fans of both bands are in for a 'total explosion of the senses.'" Tickets for the 2017 tour will go on sale December 16 at 10 AM local time. Anthrax have been touring in support of “For All Kings”, which debuted at No. 9 on the US Billboard 200 earlier this year with opening week sales of 34,000 units. The North American trek follows an extensive European tour next spring that will see Anthrax performing their 1987 album, “Among The Living”, in its entirety alongside classic tracks. Killswitch Engage are promoting their 2016 album, “Incarnate.” The project debuted at No. 6 on the US Billboard 200 earlier this year.